Experiencing The Symptoms Of Anxiety Can Interfere With Your Daily Life In Devastating Ways. 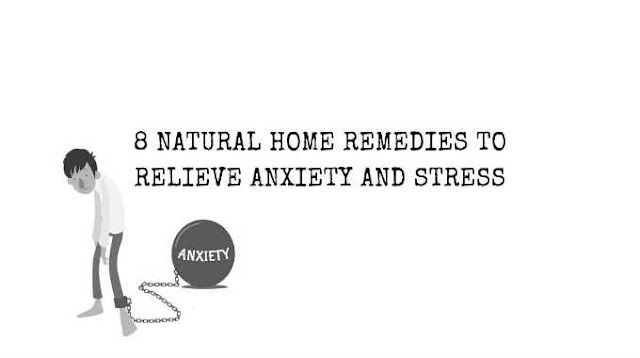 Try These Simple And Natural Cures For Proven Anxiety Relief. Everyone gets anxious now and again, but for those who suffer from clinical anxiety, even the slightest bit of worry or fear can feel overwhelming to that person. Not only that, but it is a persistent type of feeling as well. Those who suffer from severe cases can even find it difficult to lead normal lives. Depending on the type of anxiety disorder, the symptoms may include: dizziness, nausea, dry mouth, weakness or shortness of breath, insomnia and a constant sense of fear or unease just to name a few. However you don’t need to be clinically diagnosed with an anxiety disorder to feel the effects of a stressful work/home environment. Drinking 3 cups of chamomile tea a day has been shown to reduce anxiety quite drastically. It contains two chemicals that are shown to help you relax and relieve anxiety, Luteolin and Apigenin. The findings of researchers from the University of Pennsylvania Medical Center show that patients who suffered from clinical anxiety that were given chamomile supplements over a period of time, were significantly less anxious than those who were given placebos. Fish oil supplements (or an equivalent of 1-3 grams of Omega-3 fatty acids) taken on a daily basis, have been shown to balance out cortisol and adrenaline levels in the brain, thus reducing stress and anxiety. Try eating fatty fish like mackerel or salmon which contain the highest percentage of omega-3 in volume. Walnuts and chia seeds are also amazing natural sources. One study from an Israeli research team discovered a possible connection between low omega-3 intake and increased risk of social anxiety. What’s even more interesting, the team from Israel reported that the patients who had Social Anxiety Disorder and consumed the lowest levels of omega-3s in their diets also suffered from the highest anxiety. The scent of lavender is well-known for its calming properties. It can also lower systolic pressure -the blood pressure level that relates to stress, making it an excellent tool for alleviating anxiety. Vanilla also has a similar effect. Cancer patients who underwent MRIs in a room scented with vanilla were 63% less prone to showing symptoms of anxiety than patients who breathed in normal unscented air, according to a study done at the Memorial Sloan-Kettering Cancer Center. Breathing in the steam from a cup of boiling water with a couple of drops of lavender or vanilla essential oil can quickly calm you down. The most common sources of L-lysine are found in meat, cheese and legumes. This amino acid is responsible for keeping your brain’s neurotransmitters in check -as well as the production of collagen. It also aids in the body’s ability to absorb calcium. Lowered levels of stress hormones, like cortisol, and minimized symptoms of anxiety were reported for patients who took l-lysine supplements, according to a study from the Institute of Life Sciences in Japan. A scientifically proven way to both reduce stress levels, and boost production of serotonin, is to preform at least 21 minutes of physical exercise. The idea is that the body heats up and reaches a point where it alters neural circuits that control cognitive function and mood. So between 27 and 42 degrees Celsius is when these receptor channels are active, and it is proposed that these circuits play an important part in alleviating anxiety and stress symptoms. Epsom salt (magnesium sulphate) is a relaxation mineral. Cramping muscles, irritability and several aspects of your mood are affected when there is a deficiency of magnesium in your body. It is vital to maintaining over 300 enzyme reactions and literally all of our bones and tissue. The combination of heat (to activate the serotonergic channels mentioned earlier) and the absorption of magnesium through the skin makes an Epsom salt bath one of the best ways to de-stress and simply relax. If you like, you can add lavender scent for optimal results. Caffeine is a stimulant that acts on your central nervous system; it is found in coffee, tea, energy drinks and soda. People who are sensitive to caffeine may suffer from heart palpitations, difficulty breathing, irritability and full blown panic attacks upon consumption. Try your best to keep your diet as caffeine-free as possible if you wish to ease your anxiety. Stay away from the pharmaceutical sources of caffeine and the ones mentioned earlier to notice the change in your stress levels within only a few days. Deficiencies in zinc, magnesium and vitamin B12 have been linked to experiencing symptoms of anxiety. Eating healthy foods is absolutely vital to keeping your mind and body in top shape. If you are vegan or vegetarian, it is essential for you to watch your vitamin B12 intake since it is only found in animal products. Staying away from alcoholic beverages, processed foods that are loaded with sugar and saturated fats, in conjunction with maintaining an exercise routine and keeping track of your blood sugar levels (Low levels can potentially send people who suffer from the disorder into full scale panic attacks) can go a long way towards overcoming stress and symptoms of anxiety.